So, can I be brutally honest here? The only purpose for spurs is to poke the horse. "Oh, that's cruel Gene!" No, not really. What other purpose do they have? "Well yeah, but it's how you use them." Exactly, and I don't intend to bore you with the details of my opinion. 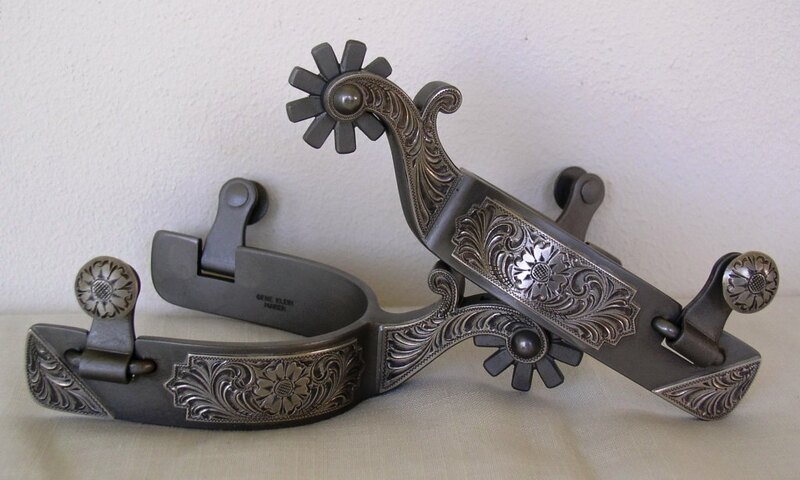 Suffice it to say that every rider should ultimately strive to see how much less he needs to use his spurs. After that, it's really only about how the spur fits the individual rider and how that can help him control his 'hooks'. Big rowel or small? Drop shank or raised? Long shank or short? After that it's all about looks. Since this is really about personal preference, there are lots of design possibilities and it's all up to you. We've included several photos of Gene's previous work as examples of what he does. 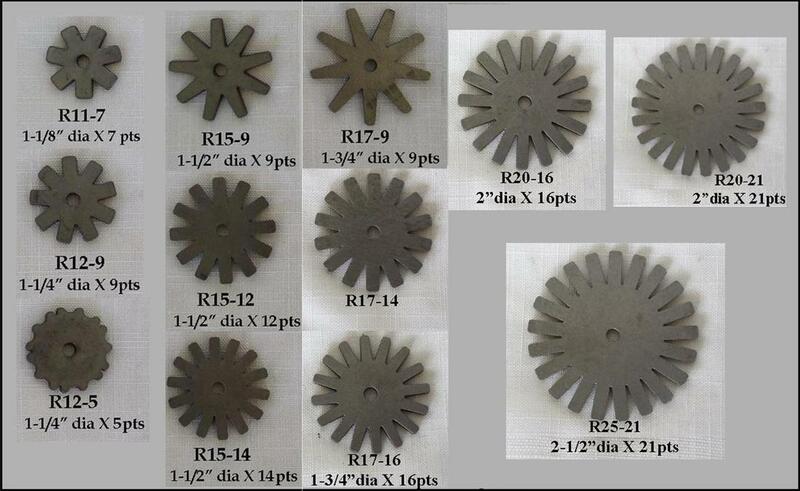 Below these you'll find displays of available spur bands, shanks, and rowel patterns. You're essentially left to 'roll your own'. It's kind of an exercise in mix and match. We look forward to having more choices in the future. 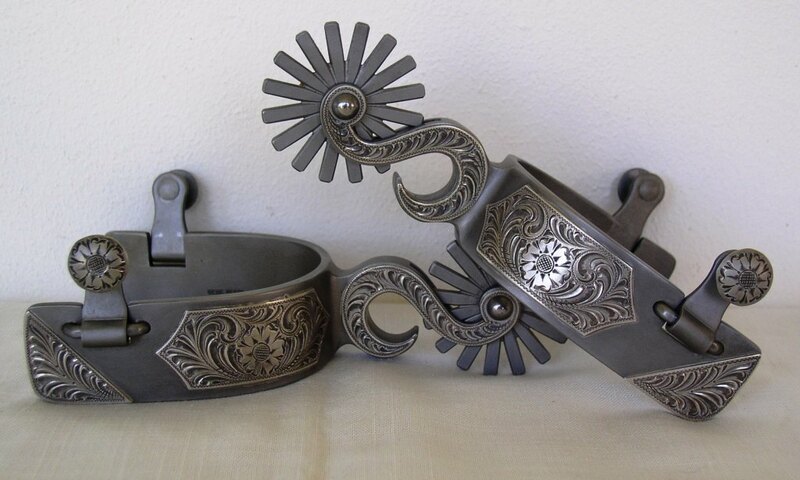 Gene's spurs are plain steel, blued or grey, and all feature his fine hand engraved sterling silver as pictured. For those of you who have your own design ideas email or call me and we'll talk about it. * With no options chosen, Gene's spurs start at $675. Like previous pages, the spurs on this page are meant to show their general pattern. 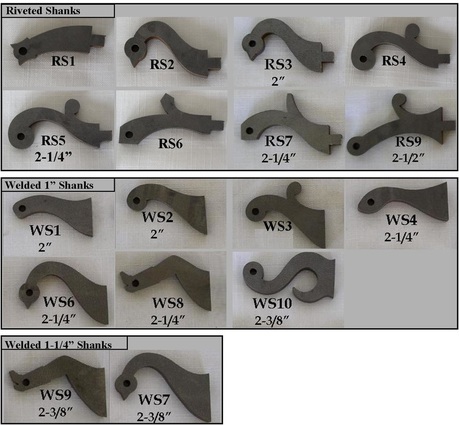 ​The spurs pictured below have custom options that are not reflected in the base price. A note has been made by each spur explaining its extra options along with its appropriate price. I apologize for any confusion and if you have any questions please call. We will be updating photos as we are able. Check the bottom of this page to view pattern choices and other options. *Striping & full silver overlay options pictured. 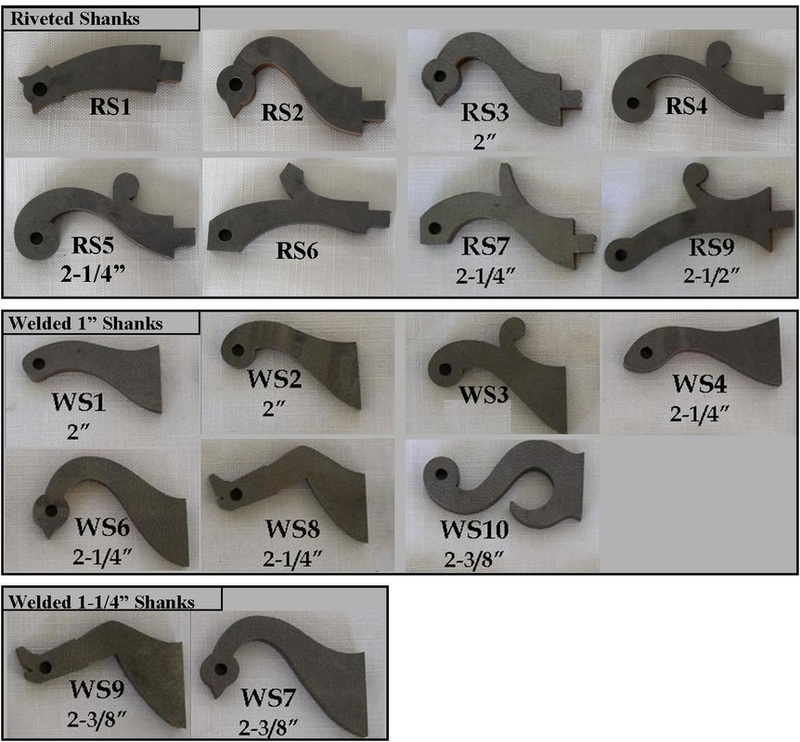 Custom steel fabrication & engraving. *Striping & custom silver pictured. Striping & custom full silver overlay pictured.